This superb large-scale sculpture featured at Royal Ascot 2018, on show in the winner's enclosure – an accolade only given by special invitation. 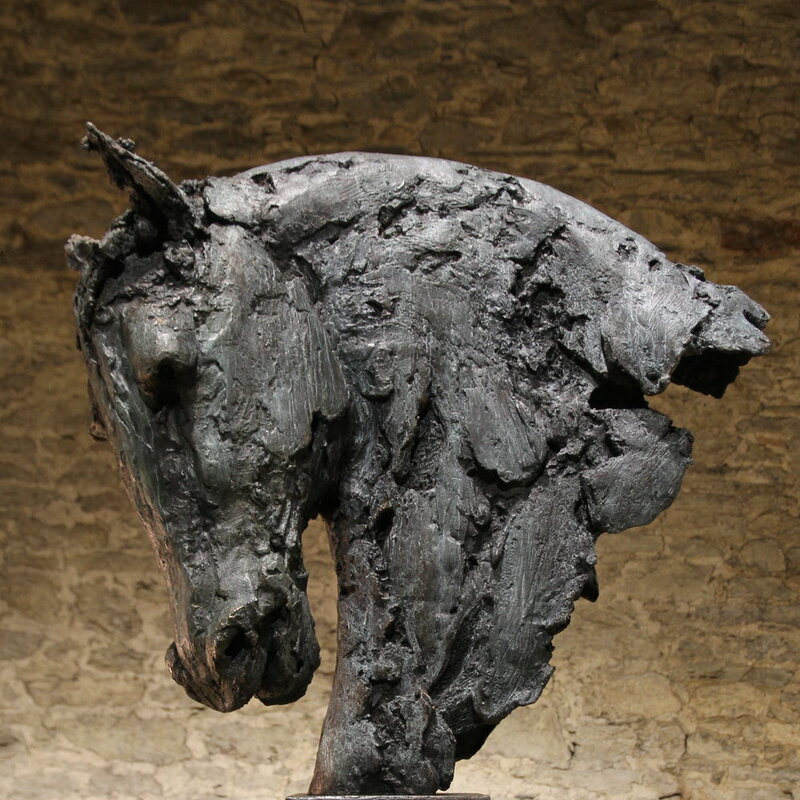 A response-based piece inspired by Ted Hughes’ poem ‘The Horses’, the dynamic process marks retained across this vibrant bronze tell the story of how it came into being. Golden is available in an edition of 9, please enquire via the form at the bottom of this page for further details. And came to the horses. Golden is available in an edition of 9, please enquire via the form below.